Klaroline was the topic of conversation on Legacies Season 1 Episode 10, and it was all thanks to Lizzie Saltzman. We have the full debate for you! Legacies Round Table: Do We Really Need a Love Triangle?! Holy love triangle! Legacies Season 1 Episode 9 seemingly introduced viewers to a love triangle between Landon, Hope, and Rafael. Are our panelists on board? Legacies Round Table: Did Hope Make a Huge Mistake? On Legacies Season 1 Episode 7, Hope tried to get closure about her father's death, but how did our panelists feel about it? Get ready for the full debate. On Legacies Season 1 Episode 6, Jo returned from the dead, but was it a gift for Josie, Lizzie, and Alaric, or did it bring back bad memories for them? On Legacies Season 1 Episode 5, Hope sent Landon to New Orleans with the aim of finding out the truth about his mother. Who did she send him to? Legacies Round Table: Did Landon Go Too Far? On Legacies Season 1 Episode 4, Josie and Rafael locked lips, while Landon complained that Hope was just like the other girls. We have the full debate! Legacies Round Table: Was Jeremy Gilbert's Return a Dud? Jeremy Gilbert returned to Mystic Falls on Legacies Season 1 Episode 3, but was it worth the wait? We have the full debate, Legacies Fanatics. 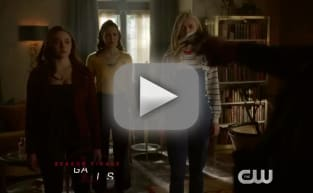 Legacies Round Table: Could Landon be a Salvatore? Legacies Season 1 Episode 2 introduced us to a creature we never thought would be found in Mystic Falls. Yes, we're talking about a dragon! We have the debate! Legacies Round Table: A Worthy Succesor to The Vampire Diaries and The Originals? On Legacies Season 1 Episode 1, Hope's life was turned upside down by the return of Landon. Was it a worthy spinoff of The Vampire Diaries and The Originals?